In honor of Speak Like a Pirate Day. 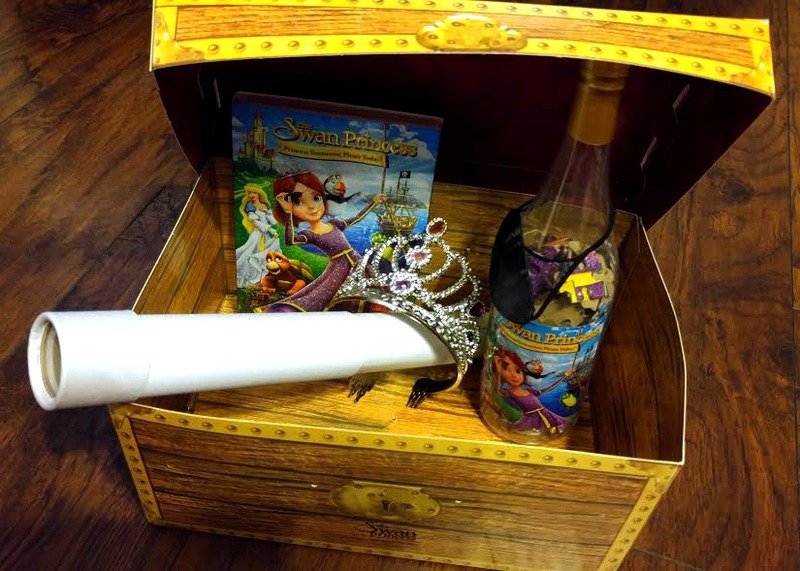 Here is the perfect movie for your inspiring princess or pirate. The Swan Princess: Princess Tomorrow, Pirate Today is out now from Sony Home Entertainment! Do you remember the Swan Princess movies based on the classic fairy tale "Swan Lake"? After so many years another great edition to this series is out and a great way to introduce a classic movie to the next generation. 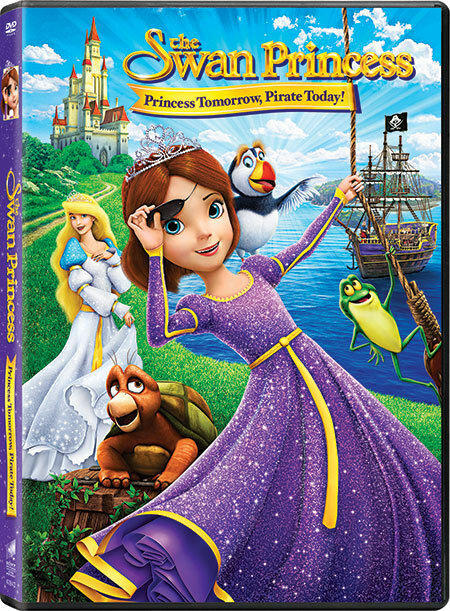 In the brand new original animated film, with her parents away for the summer, fun-loving, young Princess Alise must spend her time with Queen Uberta, training to be the perfect, proper royal…But what she really wants is to become a swashbuckling pirate! Princess Alise sets sail with Lord Rogers, Jean-Bob the frog and Speed the turtle on a bold, high seas journey filled with amazing adventure, danger and discovery. After a shipwreck leaves the brave crew stranded on a wild, mysterious island, they meet Lucas, a young boy who has been living in seclusion. Now the faithful friends must work together to escape the island and the ferociously hungry creatures that dwell there. Princess Alise knows she has to be the perfect royal, but when her parents are away, she has a chance to sail the seas and do what she has always wanted...to be a pirate! While on her adventure, she is shipwrecked and meets another lost soul, a young boy who is not sure where he belongs either. Together they form a bound and fight together for their freedom and a way off the island and back home! The kids and I have a movie night to watch this new film! I remember the original Swan Princess movies and this has similar animation style! Kids will love the songs and musical numbers. In the first few moments of the film, you will be introduced to the "bad guys" and they are singing about wanting fleshy meat, so it might frighten younger kids. 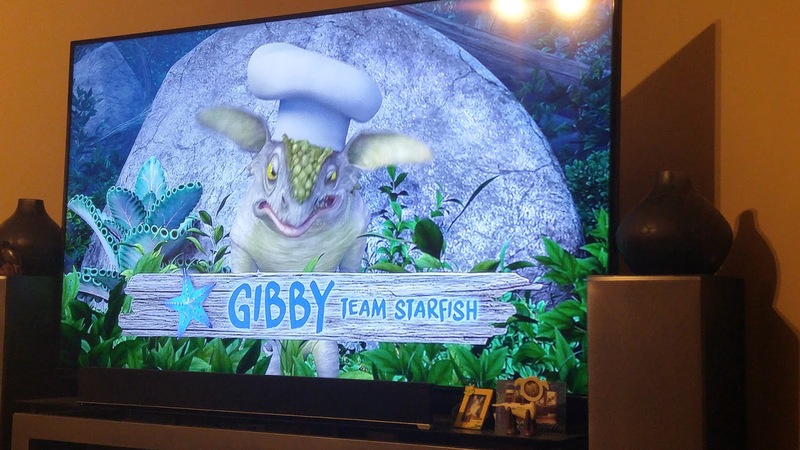 Even though the hungry creatures are bad, you can't help but laugh at them when they are on a faux cooking show. This is a cute, family friendly film! 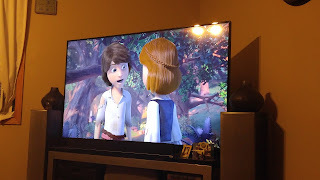 Sony Home Video provided me with some of the materials I used in this Blog Post. No other compensation was received. The opinions I share are my own.